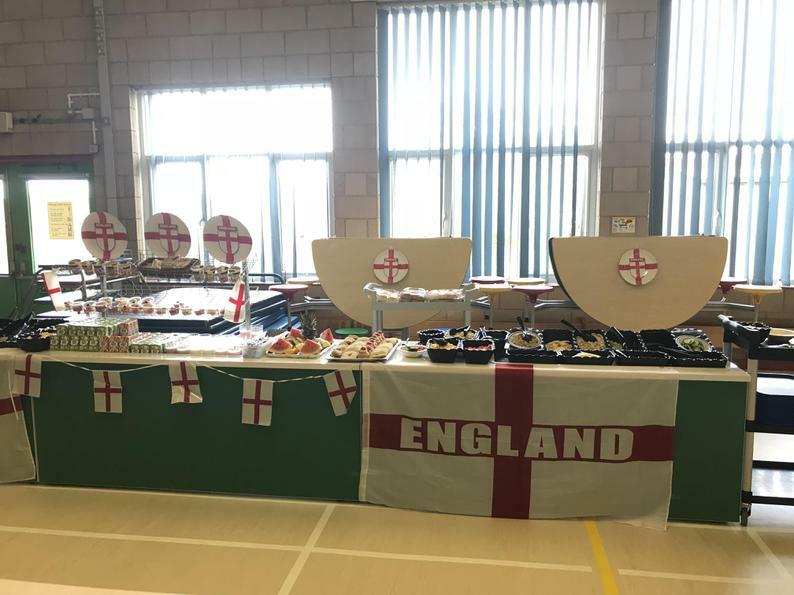 Our catering team in the Bedford Bistro have excelled themselves today with their homage to St George. The Bistro is a riot of red and white, with everything from red and white roses to red and white juices! The children (and staff!) have been treated to an array of delicious English food, including traditional butcher's sausages in a Yorkshire pudding boat, served with creamy mash potatoes and onion gravy. 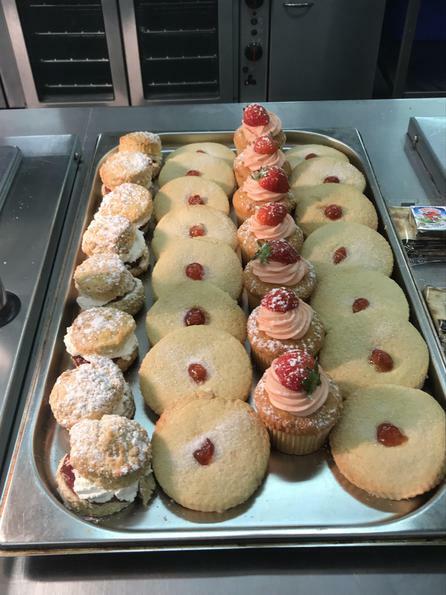 For dessert, children could choose from iced pink fancies, homemade shortbread or strawberry cream scones. It was delicious! 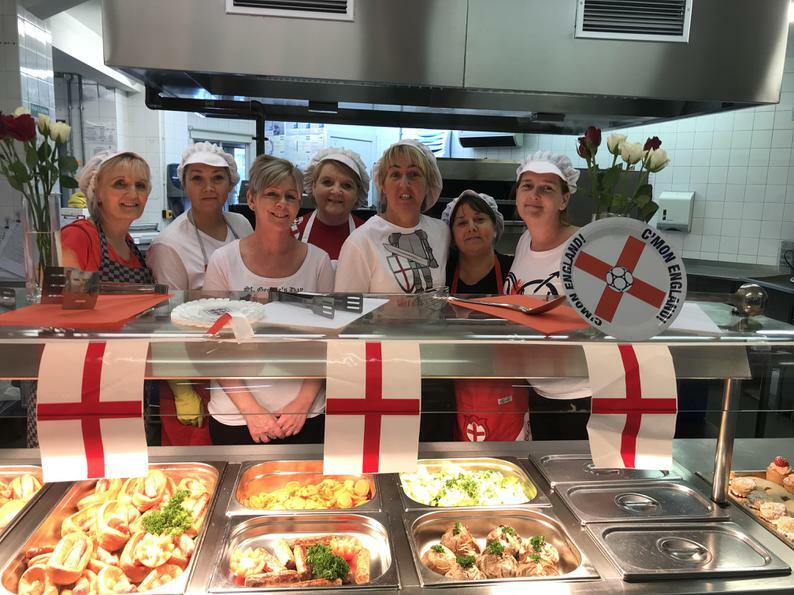 Thank you to Mrs McDowell and her dream team for making such an effort to mark St George's Day.